Are you experiencing sweltering heat where you live? This has been a pretty crazy end of summer in our Zone 5B garden. Temperatures were in the chilly single-digits last week but headed higher into the high 20+ degrees this week (30C+ with humidity). 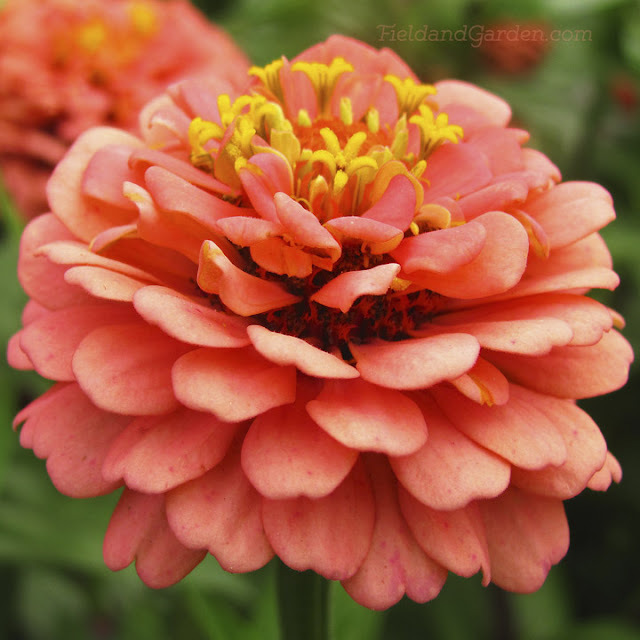 While most of our blooms don't seem to know what to do with themselves (some are really leggy, some are very floppy, more than a few are leggy and floppy), the zinnias that I planted in late spring are thriving and trouncing almost every other plant in the late summer garden sweepstakes. The flower images shown here are the Salmon Rose variety of Zinnia elegans from the Benary's Giant series. 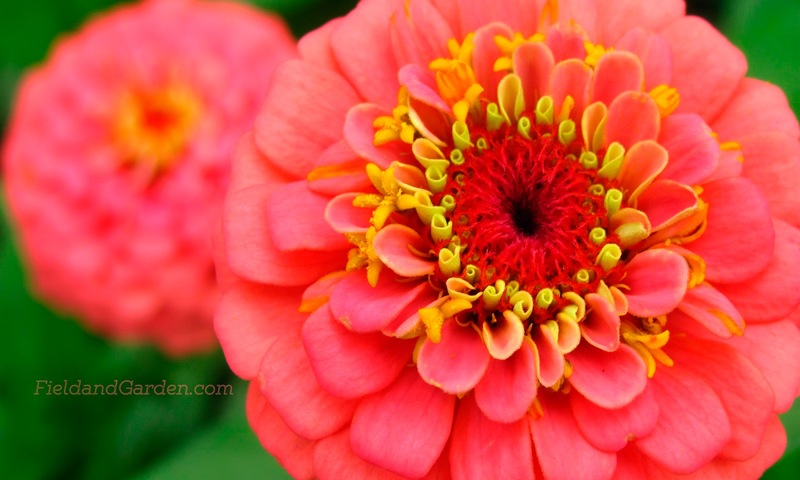 The Benary's Giant line of dahlia-like zinnias was developed by Ernst Benary Samenzucht, a 170-year old seed breeding company with an interesting history. Benary's Giants are truly ginormous (as my daughter likes to say), with flower heads ranging from 3 to 5 inches across, which are very ably supported by their sturdy stalks that stay upright without staking, something I can't assert about my dinner-plate dahlias (lying face down in the dirt even as I type). I haven't seen any pest activity on these beauties but this is only my first year of growing this type of zinnia so time will tell if they are as insect and disease-resistant as claimed. I think I will switch these superlative annuals around with my weak-stemmed, aphid-infested dahlias in the front yard next year, perhaps in a wider variety of colours and in greater numbers so I can also use them as cut flowers in the home. © 2017 FieldandGarden.com. All rights reserved.